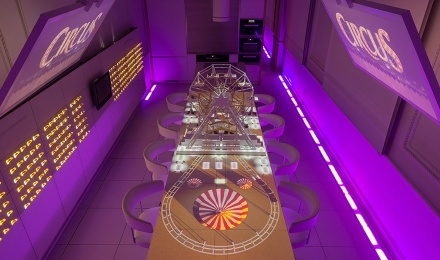 Sublimotion: the first gastronomic show in the world: a combination of high gastronomy and state-of-the-art technology developed for two years by a team of professionals from different sectors. The first gastronomic show in the world: a combination of high gastronomy and state-of-the-art technology developed for two years by a team of professionals from different sectors: cooks, designers, engineers, illusionists, scenographers, architects, choreographers and screenwriters. A project that focuses on reinterpreting the most traditional Spanish cuisine from haute cuisine. 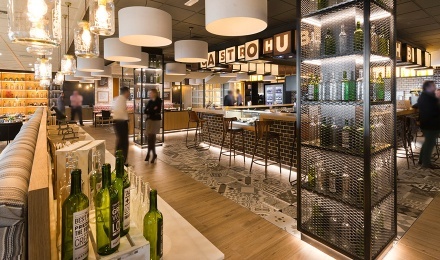 In between flights, this establishment proposes two distinct options: one gastronomic and another “a la carte and menu". 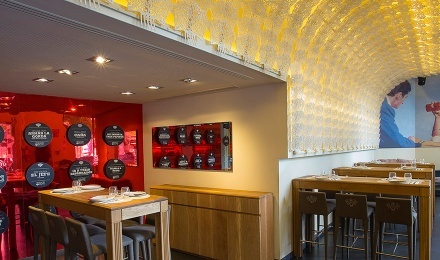 An intelligent space designed to rediscover new gastronomic concepts.